"Nothing has the impact and scalability of TV advertising", according to Nick Jenkins the founder of online greeting cards business Moonpig.com, but he said brands should focus on their product and customer first before marketing. 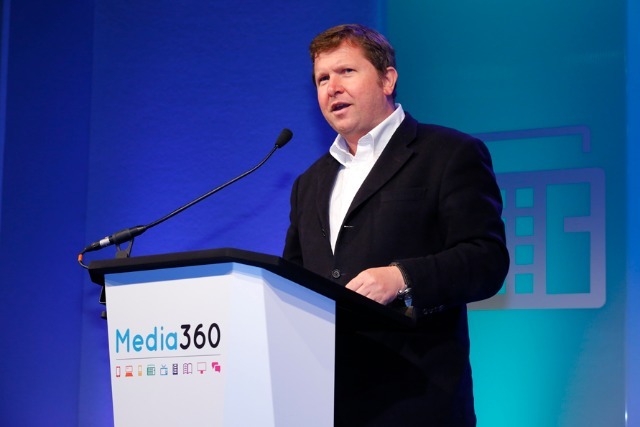 Speaking at today's Media360 conference at Tobacco Dock in London, Jenkins was explaining how an initial scepticism about the expense and effectiveness of TV advertising turned to a sense of revelation when, in 2006, the medium enabled the business to grow its customer base beyond word-of-mouth. He said: "You have to get the product right and your customers to spread the word and the marketing is the oil to get your product selling faster." Jenkins took delegates through his journey since the formation of the business in 1999. It was sold to Photobox in 2011 for £120m. Back in the late 1990s, Jenkins was a commodity trader in Moscow, when he thought he should start a business "doing something he knew nothing about". He said: "I thought about the internet and all the different things I could do. I thought about having content and advertising space – but it was quite different then, as there was little money spent on advertising. "I thought about doing something physical, where the end product was better than the product on the high-street. Personalisation is obviously a very difficult thing to replicate if you have 1,000 shops." Jenkins settled on the idea of producing greetings cards that consumers could "change the captions [on] to offend their friends". It was a business model that did not require vast quantities of stock, just "paper and some envelopes – everything else like the artwork is only involved if I sold the thing". Coming up with a name for the business took him four days, said Jenkins. He discovered that the "greatest mistake on the internet was allowing people to sell domain names really cheaply for people to lock them up and do nothing with them". He wanted a name that would also be unique on Google and as "short as possible" and eventually settled on his nickname from school. "I got a website, it worked and everyone loved the product," he said. The challenge he faced was how to drive more customers to the service. Between 2000 and 2006, the business tried "pretty much every channel", but the strategy did not give the brand the desired cut-through. "The only succour, the only thing that kept me going when we did no marketing was that sales still grew, because our customers were spreading the word, because we’d got the product right. We just couldn't find a way of scaling it up. "The only thing we hadn’t tried was TV and I confess that I probably thought it was too expensive." But when, in 2006, a competitor company decided to advertise on TV, Jenkins ordered cards from them every day and by counting the order numbers on the cards he was sent, he was able to work out that the firm was acquiring business for the attractive rate of £10 a customer. This led Moonpig to run its first TV ad campaign – created by a "DRTV agency that reckoned they could create an ad for around £30,000." "Nothing has the impact and scalability of TV," he said. Getting personal: how much further can the trend go?